April 2013 – Kitmeout Designer Clothes – Fashion Blog & Fashion Forum. Following the thread on the Kitmeout forum: Polo Ralph Lauren vs US Polo Assn, we thought it might be interesting to take a butchers at the fashion conflict. The battle over the polo player trademarks began around 1984, the appeals court noted, when the Manhattan federal court enjoined the polo association from using its names or marks in a way that was likely to cause confusion with Ralph Lauren marks. That 1984 order did, however, allow the association to use a mounted polo player in its retail goods as long as it did not cause confusion. More than two decades later, the parties met again at a trial. 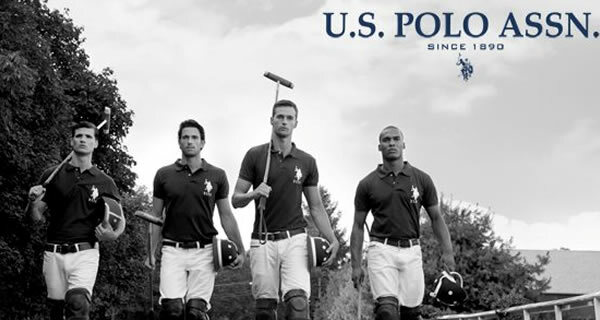 A Manhattan federal jury in 2006 found that the polo association’s use of a solid version of its double horseman mark, without text, infringed Ralph Lauren’s mark. But the jury said there would not be infringement so long as the letters “U.S.P.A.” accompanied the mark or the double horsemen was just an outline. That judgment was upheld in 2008 by the 2nd Circuit. In the fragrance case, the Polo Association had argued that the 2006 jury finding should prevent the court from finding similarity, bad faith or confusion if the association used an outlined double horsemen logo with U.S.P.A. or other similar descriptions. In the 90s to early naughties, Evisu was one of the most sort after denim brands on the market. Founded by Hidehiko Yamane in 1991 in Osaka, Japan, Evisu Genes (aka Ebisu and Evis) was one of the most well-known traditional Japanese (raw) denim producers. Yamane was trained as a tailor and was “discovered” by the Ben Sherman leadership team. Moving into the mid naughties the brand started to lose its unique status and recognition and sales declined. But like all good fashion it looks like Evisu down-cycle is short lievd as it starts to gain the attention of a new younger audience. Keep your eyes peeled for the renaissance of the Evisu brand of related brands like Ijin Material and RMC.